After a busy two weeks, the Homeland Park youth are beginning to settle into the rest of the summer! We had an excellent time at COLA WARS and Vacation Bible School last week! Thank you to all the youth and volunteers who participated! Your fellowship, service, and sacrifice were an amazing blessing! Tonight, we will have our usual Bible study from 6:30-7:30. The Family Life Center opens at 6:00 for anyone wanting to hang out. Looking forward to seeing you there! Saturday, the Homeland Park youth will meet at the church at 9:00 am to go to Gravitopia and Pizza Buffet for lunch in Greenville. Our scheduled time for Gravitopia is 10:30 am and we will head to lunch immediately afterwards. We should arrive back at the church around 1:30 pm. If you are interested in still going, please email me so I can see if I can reserve more tickets. The total cost for the trip is $25. 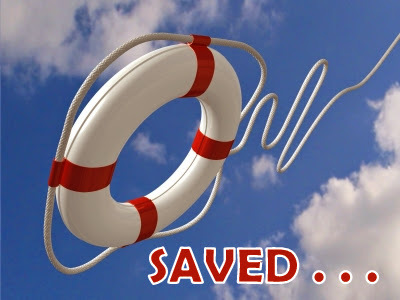 Pastor James wraps up the "Saved" series this Wednesday Night in Adult Bible Study @ 6:30 pm. Life Question: How Can I Know For Sure I Am Saved? Come hear the Bible answer this question and more. Hope to see you there and invite a friend. Here's a schedule of events for the summer. Don't forget about Cola Wars this week! Meet at the church at 5:45 to head over to Southside Baptist Church. This week, June 9-13, our youth will join Southside Baptist Church and other area churches for COLA WARS! This is a fellowship opportunity with other churches to worship Jesus and learn more about Him as we engage in teaching, worship, games, and other fun activities! The event will be from 6:00 pm - 9:00 pm each evening, starting tonight and lasting through Friday. If you want to attend Cola Wars, meet at the church at 5:30 tonight (for registration) and have your ride ready at 9:15 at the church to be picked up. On Tuesday through Friday, meet at the church at 5:45 to leave and have your ride ready at 9:15 to be picked up. On Thursday evening, June 12, wear clothes you don’t mind getting dirty (water games)! Dinner is provided. Because we will be at COLA WARS, the youth will not have our regular Wednesday night meeting. The Homeland Park youth with celebrate the end of school this Wednesday night with a pizza and game party! We will kick-off at 6:30 and go until 7:30 (during our normal Bible study time). All you need to bring is yourself and a friend if you can! Next week, June 9-13, our youth will join Southside Baptist Church and other area churches for COLA WARS! This is a fellowship opportunity with other churches to worship Jesus and learn more about Him as we engage in teaching, worship, games, and other fun activities! The event will be from 6:00 pm - 9:00 pm each evening, Monday through Friday, June 9-13. On Thursday evening, June 12, wear clothes you don’t mind getting dirty (water games)! Dinner is provided. If you want to attend Cola Wars, meet at the church at 5:30 on Monday (for registration) and have your ride ready at 9:15 at the church to be picked up. On Tuesday through Friday, meet at the church at 5:45 to leave and have your ride ready at 9:15 to be picked up.